FOR IMMEDIATE RELEASE – Ottawa, ON (May 15, 2017) – ShipTrack®, is an innovative logistics platform that enables retailers to effectively compete in today’s evolving commerce market. It provides complete visibility and control of any shipment’s movement worldwide. The team is proud to announce its participation and sponsorship of the upcoming eTail Canada 2017 Conference for e-commerce and multi-channel retail innovators. The event will take place in Toronto, Ontario from May 16-18. 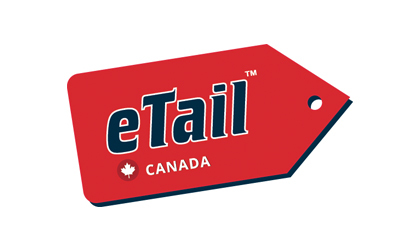 Since 1999, eTail Canada has been the premier conference dedicated to supporting the growth of the retail industry by facilitating high-level networking opportunities. In addition it provides leading industry knowledge and extensive thought leadership. eTail Canada released an eCommerce Benchmark Report that found that Canadian retailers who invest in omnichannel are seeing increased success, while those that aren’t are being left behind. Retailers must consistently evaluate the key factors that are driving their industry to ensure innovation and success. Providing excellent customer service to enhance the experience before, during and after the purchase is vital to keeping businesses thriving. Customers in many instances view the delivery of their online purchases as an extension of the retailer’s brand. ShipTrack optimization and automation technologies provide retailers with unparalleled services for last mile delivery. Retailers who use ShipTrack to track and manage deliveries generate increased customer loyalty with faster, more accurate and more visible deliveries. ShipTrack keeps eCommerce retailers and customers connected throughout the entire process which will help retain delighted and loyal customers as well as attract new business opportunities. “The eTail Canada conference is the ideal event to bring executives from major corporations and eCommerce innovators together to discuss the strategies that are driving the retail industry.” stated ShipTrack’s Senior Vice President of Sales. “We look forward to working with such an inspiring roster of experts where we can collaborate, share insights and advance the industry”. Live Demos of ShipTrack: Visit ShipTrack at Booth #23 for in-depth demos and strategic insight from a team of ShipTrack experts. Learn how ShipTrack can help develop competitive advantage, retain customers, grow market share and ultimately to not get left behind. About ShipTrack Our mission is to empower retailers to improve the visibility of their supply chains from production to customer by leveraging in-depth technology and logistics solutions expertise. Our platform is being used by some of world’s best known retail brands and their logistics partners to become more demand-driven and to create delightful customer experiences. Our solutions deliver performance-based metrics so that senior management can measure, interpret, and act on industry patterns and conditions to remain competitive. For more information visit, www.shiptrackapp.com.